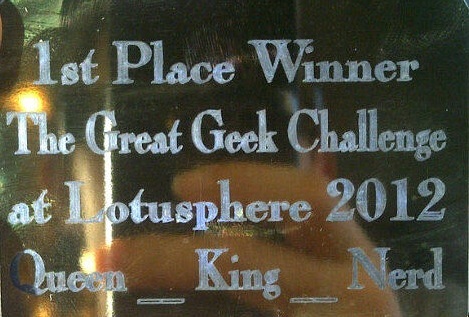 In case you hadn’t heard – the Great Geek Challenge is back at Lotusphere! And you could be the winner of the COOLEST NERD trophy EVER! The Great Geek Challenge is Tuesday January 17th – 8:00-10 PM at the Fountain Restaurant in the Dolphin Hotel. Food and beverages and PRIZES will be provided by our generous sponsors!